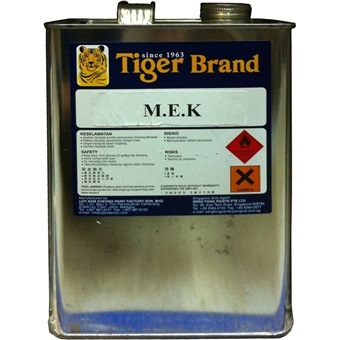 MEK is an effective and common solvent.It has similar solvent properties to acetone but boils at a higher temperature and has a significantly slower evaporation rate. 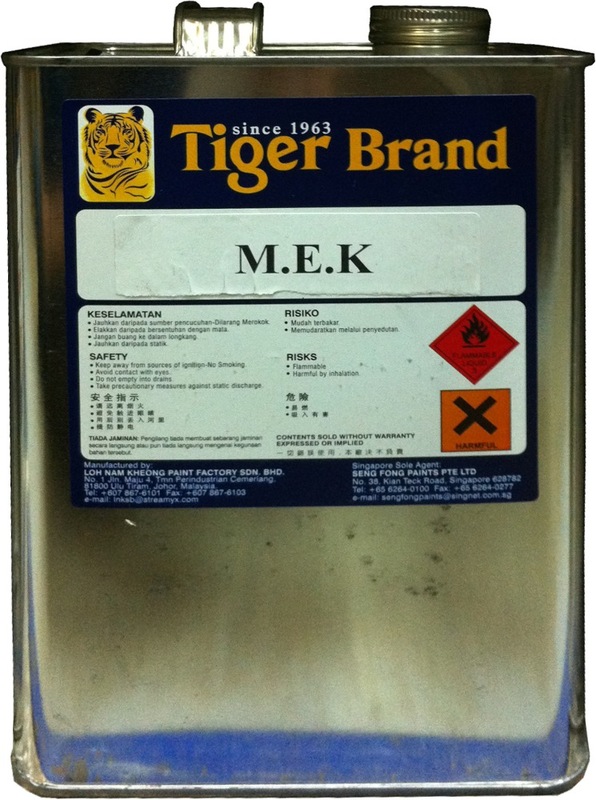 TIGER MEK-3.5LTR is rated 4.0 out of 5 by 1. MEK is an effective and common solvent. It has similar solvent properties to acetone but boils at a higher temperature and has a significantly slower evaporation rate. Rated 4 out of 5 by HE Costume and Prop from Does exactly what it says on the tin I bought this methyl ethyl ketone to use as glue for some plastics and as cleaner/solvent for epoxy. In that role, it functions exactly as advertised, removing 2 part off-brand Epoxy glue with ease, and holding together pvc foam workpieces. However the packaging could use some improvement. The cap can sometimes get too tight to unscrew without some assistance from a clamp. Also, when the container is very full it's hard to pour out off without spillage. I wish it came with a reversible spout type cap, would be appreciated in dispensing small quantities. A spout or nozzle would really help prevent spillage when it's overly full. The packaging is a minor quibble though, and doesn't detract from the product.